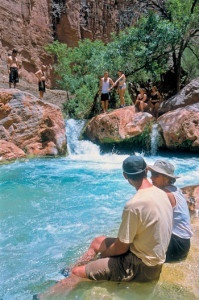 Simply one of the best vacations/trips you will ever take is a Grand Canyon multi day rafting and camping vacation. I will go on this adventure again with my other children who were too young to go on this trip at this time. It is one of those adventures that you have to do at least once in your lifetime. Incredibly relaxing, food is wonderful, the Grand Canyon and the Colorado River are spectacular. I would say there exists few things, if any, more incredible than the Grand Canyon and you get to see almost the entire canyon up close. Do not hesitate to take this trip of a lifetime down the Colorado River in the Grand Canyon!! !